If physicians aren’t on board, clinical documentation improvement programs face an uphill battle. In 1999, Carle Foundation Hospital, a 325-bed facility in Urbana, Illinois, began its clinical documentation improvement (CDI) journey long before the importance of improving documentation was making waves throughout healthcare. At the time, 2.5 full-time nurse reviewers focused only on Medicare claims. Physicians hardly recognized the acronym CDI, and Medicare severity diagnosis–related groups (MS-DRGs) weren’t even a blip on the radar. Today, CDI and MS-DRGs go hand in hand, and ICD-10 is right around the corner. At Carle Foundation Hospital, four full-time nurse reviewers and three part-time physician advisors review all DRG payers. Over the last decade, the hospital has constantly tweaked and improved its processes. In particular, staff members have taken a multipronged approach to obtain physician buy-in, a difficulty that many facilities continue to face—and even fear—in light of the transition to ICD-10 in 2013. The good news is that physicians seem to be more interested in CDI, says Diann Wingler, RN, HIM manager at Carle Foundation Hospital. “I think what’s helped it a lot is the public reporting and all of the things that are indirectly driven by coding. How [physicians] are being portrayed is what’s getting their attention,” she says. Acknowledging this interest in publicly available data—and subsequently incorporating it into the overall CDI strategy—has helped the hospital. For example, CDI specialists recently used respiratory failure data from the Surgical Care Improvement Project (SCIP) when educating physicians. The data, which showed room for improvement, caught the attention of the medical staff, who began to question their accuracy. What ensued during a medical staff meeting was a discussion about how coders assign codes for respiratory failure and what documentation is necessary to ensure accurate code assignment. In addition to SCIP data, the hospital is using risk-of-mortality (ROM) and severity-of-illness (SOI) data to convey the importance of thorough documentation, says Wingler. In some cases, more specific documentation could change the ROM or SOI significantly, which more accurately reflects how sick patients are. Physician advisors have used this technique because it affects outcomes data and the public’s perception of physicians, she adds. Although there is a natural tendency to link CDI with coding and reimbursement, HIM professionals leading the effort should resist the temptation to do so and instead focus discussions on quality data, says Walker. This will, in turn, help with physician buy-in, he says. Incorporating publicly available data is particularly effective because it appeals to physicians’ competitive sides, says Walker. “We’re competitive by nature. Part of it is that nobody wants to stick out like a sore thumb and be labeled as bad. The reason I think it works is because you demonstrate for them exactly how they look to the public eye,” he says. Consumers need not look far to find information about physicians and their performance related to patient outcomes, Walker says. “Right now, data is at an aggregated, gross level—a sort of thumbs up or thumbs down. I think that increasingly we’ll see the data parsed down to practice type, practice location, or individual disease management,” he says, adding that websites such as www.hospitalcompare.hhs.gov, www.whynotthebest.org, and www.leapfroggroup.org are already doing this at the facility level. When thinking about CDI, it’s important to stress to physicians the ways in which documentation affects not only reimbursement but also regulatory requirements, accreditation, and quality scores, says Jerry Williamson, MD, FAAP, MJ, chief medical officer for CHS Healthcare in Immokalee, Florida. What’s more, healthcare consumers have access to this data. “More and more data is being captured by regulatory agencies, payers, and a whole variety of people. It helps [consumers] make informed choices about where to go for their care,” Williamson says. For example, the data provide mortality rates and information about providers whose care has resulted in the best outcomes. “If providers’ documentation is inaccurate, these rates are inaccurate.” notes Williamson. In addition to data quality, continuity of care is an approach to CDI that seems to work well in terms of obtaining physician buy-in, says Alice Zentner, RHIA, director of auditing and education at TrustHCS. Most physicians understand that thorough documentation not only shows the types of patients physicians are treating, but also highlights the path to wellness and how patients respond to particular treatments, she adds. “I totally believe that [documentation] impacts the health of the patient,” says Zentner, adding that taking this approach to CDI and its potential correlation with patient outcomes can be helpful. Ultimately, physicians need to understand that CDI exists to help them better reflect patient acuity and justify patient outcomes, says Zentner. “The better they document the condition of the patient and the comorbid conditions that the patient has, the more complicated the case. It really raises the level of the physician involvement,” she says. Besides quality of care, there are other clinically related benefits of thorough documentation. For example, precise documentation leads to more accurate ICD-9-CM code assignments, which assist with clinical research and treatments. “If you have inaccurate documentation, the effectiveness of the research is going to be impaired as well,” says Williamson. Even once you convey the clinical importance of CDI, someone—ideally a physician advisor—must actively remind physicians to document more thoroughly in order to sustain buy-in and be successful, says Wingler. At Carle Foundation Hospital, the physician advisor’s role was created just after MS-DRGs took effect. “They provide more explanation. Coders and CDI specialists can’t pose leading questions. However, during a conversation between peers, we hope that a greater understanding will occur,” says Wingler, who meets with the three part-time physician advisors once per week for an hour to review cases as well as discuss educational opportunities and the future of the CDI program. Two of the advisors have medical backgrounds while the other has a familiarity with surgical procedures. Together they total 40 hours per week. Wingler divides queries according to whether cases are medical or surgical to more closely align each advisor’s expertise with the specific case in question. This division also helps with physician-to-physician interactions and response rates. If a query goes unanswered for five days, a physician advisor reviews the query to determine whether it’s appropriate. If it is, the advisor notifies the physician to explain why the query is necessary. If it isn’t, the advisor clarifies the issue with the coder or the CDI specialist who posed the query. Almost all physician CDI education at Carle Foundation Hospital is performed by the physician advisors on a one-on-one basis with each medical staff member. 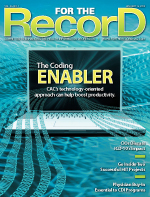 The hospital hasn’t yet ventured into ICD-10 education for physicians; however, each of the three physician advisors has attended various training events with coders and CDI specialists, says Wingler. It would be difficult for CDI programs to survive and thrive without physician advisors, says Zentner. Nurses might be able to take on this role in smaller hospitals, but it would be more challenging for them to do so in larger facilities, she adds. At Carle Foundation Hospital, coders, CDI specialists, and physicians worked together to develop several facilitywide, physician-approved definitions that have enhanced physician participation in CDI efforts. For example, the hospital struggled with 18 different definitions for acute renal failure that only complicated the CDI process and frustrated physicians who were asked to clarify documentation. One year later, the hospital had developed clear-cut definitions for renal insufficiency, renal failure, and acute kidney injury. It applied the same process to acute blood loss anemia, and a definition for acute respiratory failure is currently being developed. Not only does this help motivate physicians to document more consistently based on clear evidence-based disease definitions, but it also helps coders and CDI specialists determine whether clinical indicators exist to initiate queries. It also helps yield responses from physicians that actually fit the facility’s definition of the condition, says Wingler. “The physician at least knows what we’re after, and we’re all operating off the same page. They have a greater understanding as to why we’re asking,” she says. For example, physicians may want to know specifically about mortality rates. Providing this information could spur opportunities for discussions about how documentation affects coded data that, in turn, drives mortality rates. This may be one way to improve communication with physicians and get them to buy into the CDI program, Williamson says. Acknowledge the fact that physicians face a daunting number of pressures that go far beyond the scope of simply caring for patients. These pressures include meaningful use, accountable care organizations, ICD-10 implementation, and CDI. It’s a lot for physicians to think about and incorporate into their already-busy days, says Williamson. However, the rationale behind the necessity of both ICD-10 and CDI is essentially the same. Williamson says both encourage more granular data that allow for the identification of specific patient populations and targeted treatments, foster better outcomes tracking and research, and will essentially enhance the efficiency of patient care and reduce healthcare costs. — Lisa A. Eramo is a freelance writer and editor in Cranston, Rhode Island, who specializes in healthcare regulatory topics, HIM, and medical coding.